Eleventh-grader Waseh Khan has no debate in his mind about pursuing opportunities to improve his Speech and Debate skills. 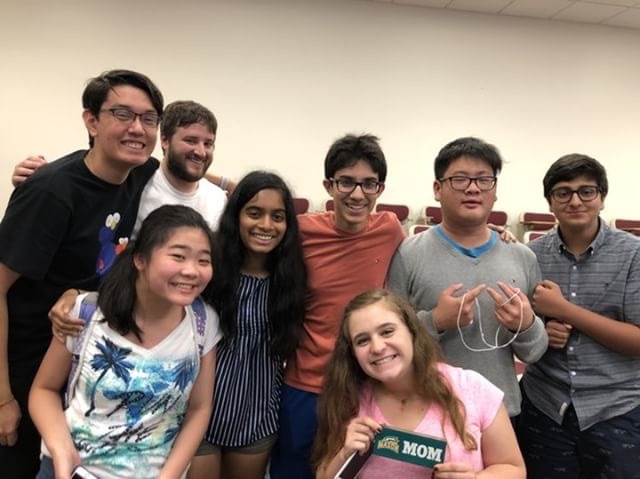 Khan attended a summer camp at George Mason University in Virginia from July 8 to 21, as well as an extension camp that offered one-on-one training from July 21 to 24. Around 300 students attended, including Pine View tenth-grader Grace Kim. Khan’s sister, Arooj Khan, introduced him to Speech and Debate in eighth-grade. He is now the treasurer of the club and handles all of their money. After hearing about the camp from Speech and Debate members, Khan was eager to apply. “I wanted to attend the camp not only to meet new people but also improve and really learn the overall aspects of extemporaneous speaking,” Khan said. According to Khan, he enjoyed the atmosphere of the program. “At the camp, you really feel like you are in college, especially in the dorms,” Khan said. His official event is extemporaneous speaking, during which debaters are given a question on a multitude of political topics, to which they formulate a response. “You have thirty minutes to write and memorize a seven-minute speech, and the judges at the camp would evaluate your speech,” Khan said. At the camp, the students were given the opportunity to meet and talk to over 200 multinational Speech and Debate collegiate champions, who explained to them what a collegiate speech would look like. “They gave us a good understanding of college-level debating and the amount of work put into the program as well as more information about the various different events,” Khan said. Khan acquired valuable knowledge from the camp and enjoyed the atmosphere of the whole program. “If you want to better yourself as well as have a productive summer, I recommend you pursue any summer camps you have an interest in,” Khan said.